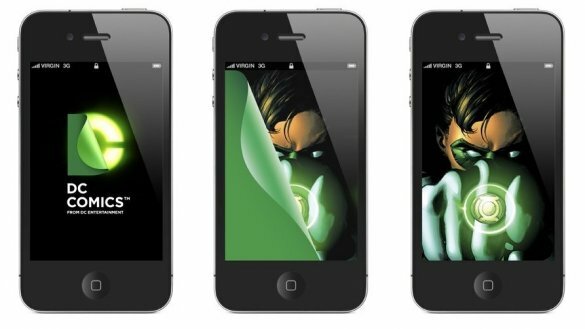 If there is a common thread through most DC characters, it’s the concept of secret identities–Superman as Clark Kent, Batman as Bruce Wayne, Green Lantern as Hal Jordan. And no one knows who’s under the “V” mask. The brand ID is most whimsical in its malleability–particularly the logo’s animated ability to mold to the properties, characters, and media, especially in the digital space, where it becomes interactive. 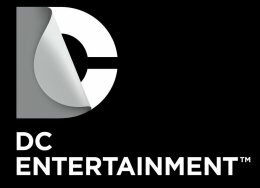 The “DC” logo reads as a “D”-shaped page that pulls back to reveal a “C” that could either be an obvious letter or infused with elements of a property or character. Digital devices (computers, tablets, smartphones, touch-screen displays, gaming consoles) will enable users to peel back the “D” to expose a character, image, or story. The “C” can be customized to the colors and qualities of the property it’s promoting: silver and gray for the corporation, blue for DC Comics, or–as suggested by the graphic below–sparks for The Flash, green for Green Lantern, or a mist for Batman. All are unified by a common font–the serendipitously named Gotham Bold. The new branding effort–spearheaded by Rood and Desai, in partnership with global branding consultants Landor Associates, and nearly a year in the making–continues the DC Entertainment revamp that began two years ago with the appointment of president Diane Nelson to put together the company, and continued with the hiring of co-publishers Dan DiDio and Jim Lee, and chief creative officer Geoff Johns, Rood and Desai, as well as the launch of last September’s successful The New 52 campaign that revised DC’s 52 comic book titles with new number one stories, redesigned costumes, and same-day digital publishing. 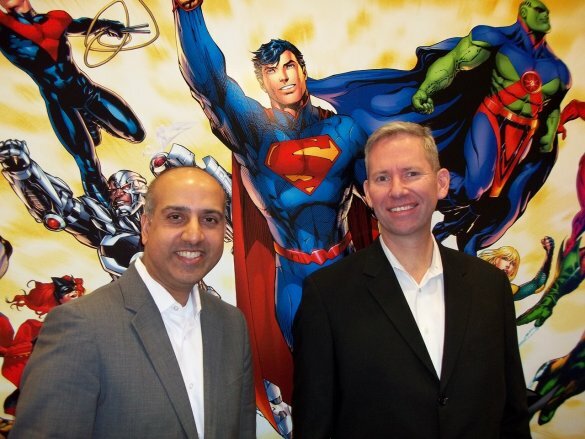 Rood and Desai spent most of last year talking to the various DC and Warner Bros. divisions, and conducting focus groups of fans and specific demographics. “This was the top performing concept across all consumer segments,“ says Desai. The company will implement the new identity and logo in phases, with comic readers seeing it on books and graphic novels in March. In addition, Desai is building a new website that will showcase all DC properties, not just publishing, as it does now, and take full advantage of the logo’s interactive capabilities. Throughout the year, it will begin appearing on consumer and home entertainment products, TV and film graphics, games, and packaging.